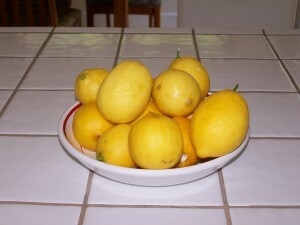 When my Meyer lemon tree produced an over abundance of lemons last year, I made lemonade, preserved lemons, Greek lemon-rice soup, lemon souffle, lemon sorbet, lemon sauce for fish, drank Blue Moon with lemon instead of the traditional orange slice, gave bags away to neighbors, and still we had lots lemons. I turned to my collection of over 300 cookbooks in search of another lemon recipe. I found this one in Allen Susser‘s New World Cuisine and Cookery and it’s fabulous! 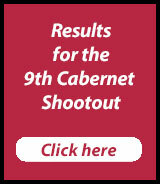 Lots of work but worth it! 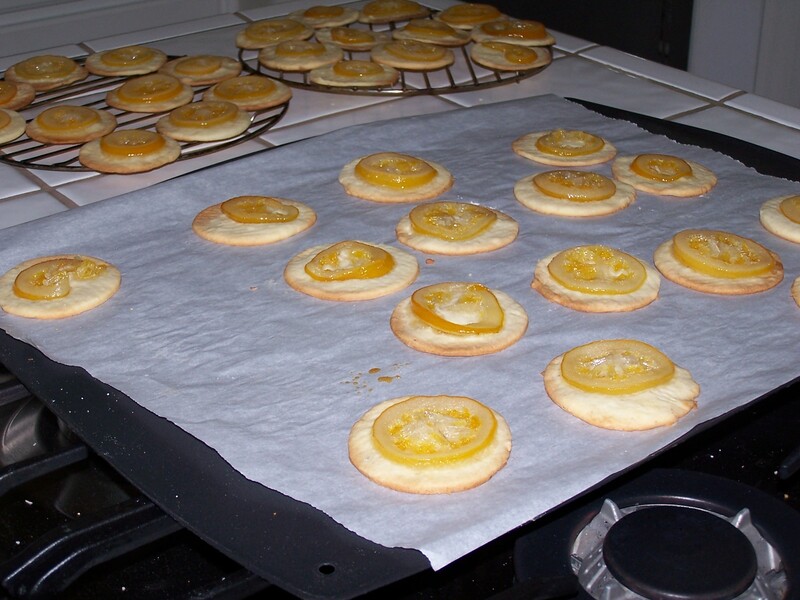 The candied lemon melts into the butter cookie for a great sweet and tart dessert. To prepare the lemons: In a large saucepan of boiling water blanch the sliced lemons and drain him on a wire rack. To candy the lemons: In another medium size saucepan, combine 2 cups of sugar and 1 1/2 cups of water. Allow the mixture to come to a boil and let it reduce for 10 to 15 minutes. Afterward, drop the lemon slices into the syrup and cook for 10 minutes. Take this saucepan off the heat, cover it and let it stand overnight. 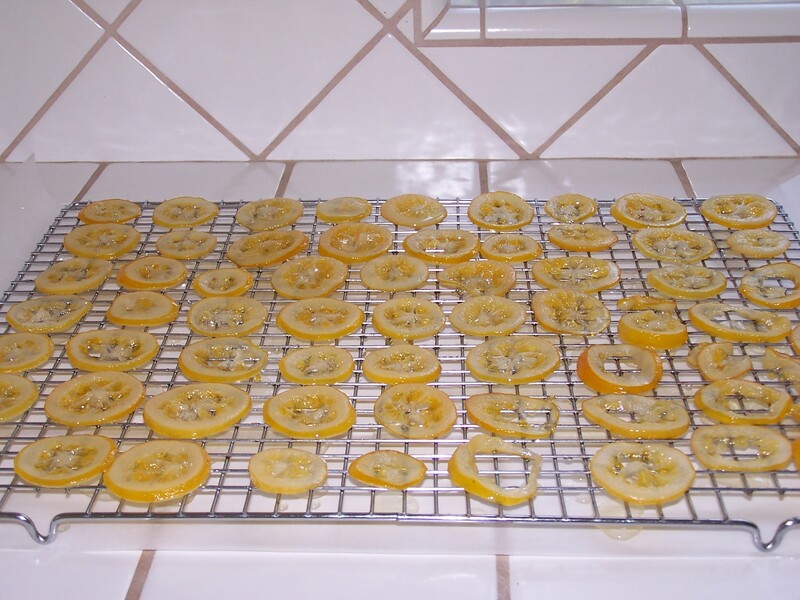 The next day, remove the lemon slices from the syrup and let them drain on a wire rack. Repeat this process again, using the remaining sugar and water. The next day the lemons will be preserved and ready. To prepare the cookie dough: In a bowl of an electric mixer, cream together the sugar and butter until the mixture is light. Next, add the lemon zest, vanilla extract, and eggs. Mix to a smooth consistency. Finally, add the sifted flour and mix just until the dough is smooth. To assemble and bake: Preheat the oven to 375°. Roll out the dough about 1/4 inch thick and cut out 2 inch circles. 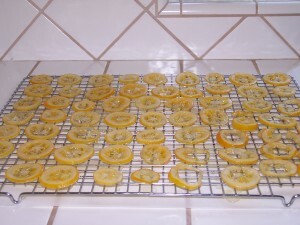 Place on parchment-lined cookie sheets, then top each cookie with a piece of candied lemon. Bake until the edges are golden brown, about 5 minutes. Cool the cookies on racks.